There are many things to keep in mind when designing your custom home. One of the major things that home buyers stress about is trying to remember everything they want in their dream home. Nobody wants to forget that one detail that will continue to bug you long after the home is completed. It may be too late to go back and fix or change something. At R and K Custom Homes in Greensboro, we suggest our clients create a needs and wants list. This process helps our clients pinpoint everything they need and everything they want, which is vital when it comes to the design and building process. A needs and wants list is simple and can often be created during our initial consultation. At R and K Custom Homes in Greensboro, we will sit down with you and your family to discuss your list and what things need to be added. A needs and wants list may look something like this. Having these few things decided can really help with the custom home design process. We will discuss these with you and your family in great detail to help you decide which should be in the want section and which should be in the need section. Keeping these in mind when designing your custom home will ensure that your every desire is met. At R and K Custom Homes in Greensboro, we also have a variety of spec homes available at varying stages to show our home designs and the quality of our work. Looking at these homes can help when planning your own. We may have thought of something in our past designs that you have not. When you see it, you may say, “I want that in my home.” This can help alleviate some of the stress of figuring out what you want and need in your custom home. Keeping these things in mind when designing your custom home can make the process go smoothly. 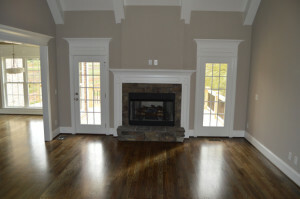 Call R and K Custom Homes in Greensboro today. We are passionate about what we do: “Crafting Homes… Building Memories”. Greensboro Custom Home Building Process Tips on Choosing the Final Site for Custom Homes in Greensboro, N.C.